Ron and Maggie Tear Photography: Senso- Ji Temple. This splendid temple was behind our first hotel in Tokyo. This is the incense burner is a major part of the temple. Joss sticks are burnt here and the followers envelope the smoke, healing powers to cure ills. 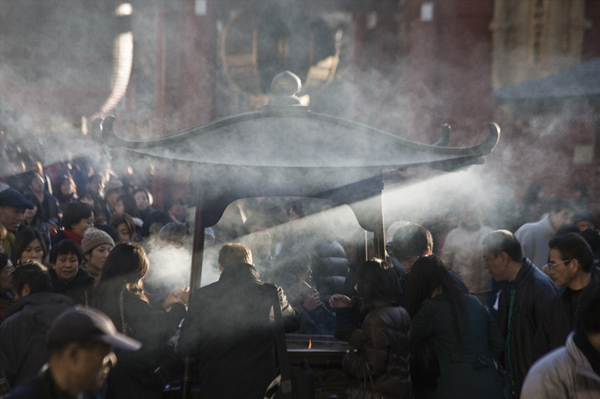 The low light of the setting illuminated the smoke making for a atmospheric moment.